Graveyard Fields is alive and well! Located at Milepost 418.8 on the Blue Ridge Parkway, the Graveyard Fields parking lot and trailhead access have been closed for some time now while renovations were done to upgrade some of the areas on the trails, add restroom facilities and to add 25 additional parking spaces (there had been only 15, now there are 40). 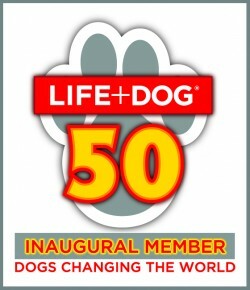 This massively popular attraction just recently reopened so we traveled there from Charlotte NC (about a 2.5-3 hour drive) to check out all the changes. What’s in a Name? 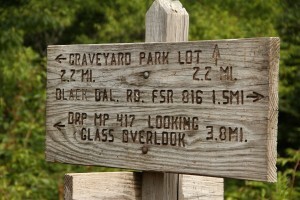 Despite the disconcerting name, there are NO actual graves at Graveyard Fields. Growing up in Asheville, I’ve been long familiar with this area. The story that I was always told about the name is the following: There was massive logging there in the early 1900s (as there was in so many areas of WNC) that left a multitude of stumps sticking up from the ground. Those were then covered by moss and lichen, which looked like an overgrown graveyard to some imaginative soul. Around the same time as the logging, there was a tremendous fire in which temperatures rose so high as to sterilize the soil so that nothing else would grow. 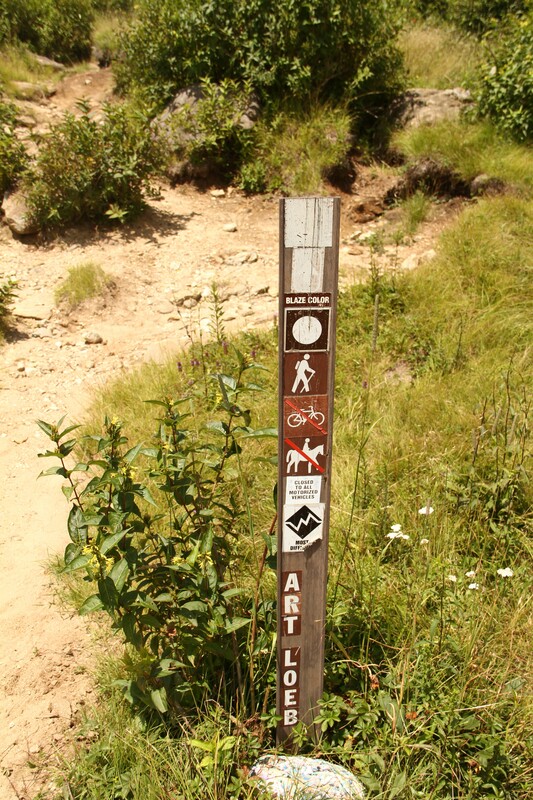 Finding the Trail: There are 2 parking areas from which one can access Graveyard Fields, from the Graveyard Fields Parking Lot at Milepost 418.8 OR a short drive South on the Blue Ridge Parkway down to road to Black Balsam Rd/Forest Service Road 816 (Milepost 420.2. The entire length of the Blue Ridge Parkway is marked by Milepost markers in order from lowest to highest numbers as one drives North to South). The trailhead at the Graveyard Fields Parking Lot is quite obvious as it’s a few feet away from the new restroom facilities. However, with only 40 parking spots, this parking lot QUICKLY becomes full despite the additional parking spots. An IMPORTANT NOTE is that parking on the shoulder of the Parkway at this point is **no longer allowed**and Rangers will give out parking tickets. Rather than chance a ticket, drive up the road to Black Balsam. However, do note that a 4WD or high clearance vehicle would be best to have on Black Balsam Road due to the multiple potholes at the entrance. They could easily tear off an air dam of a low-slung sports car! There are 2 parking lots off this road, one midway down it and one at the end. The one midway is where the Art Loeb and Mountains-to-Sea Trails cross. There are multiple trails off the parking lot at the end. There is also a trailhead for Art Loeb Trail on your right as you crest the hill and get into the straightaway of the road coming from the Parkway. This is the trailhead from which we began our hike. Art Loeb Trail: The Art Loeb Trail extends some 30 miles through Pisgah National Forest so you’ll only be seeing a small section of it. . Our travels on this trail led us up onto Black Balsam Knob then over to the top of Mount Tennent. 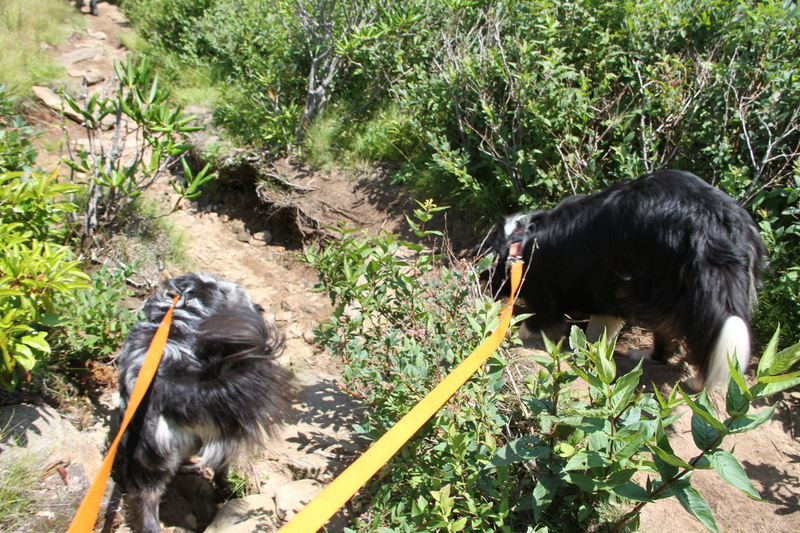 I would note that much of this trail is deeply eroded with lots of rocks, roots and steep/sudden drop offs. Hiking boots and sticks are a must as is keeping a constant eye on the path—stop to take in the gorgeous scenery as taking it all in while walking could lead to a tumble. 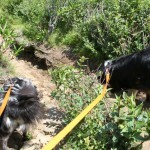 The trail can also be very rocky, rooted and rutted requiring careful attention to ones footing! From the top of Mount Tennent, we descended down into the Graveyard Fields/Ivestor Gap area. 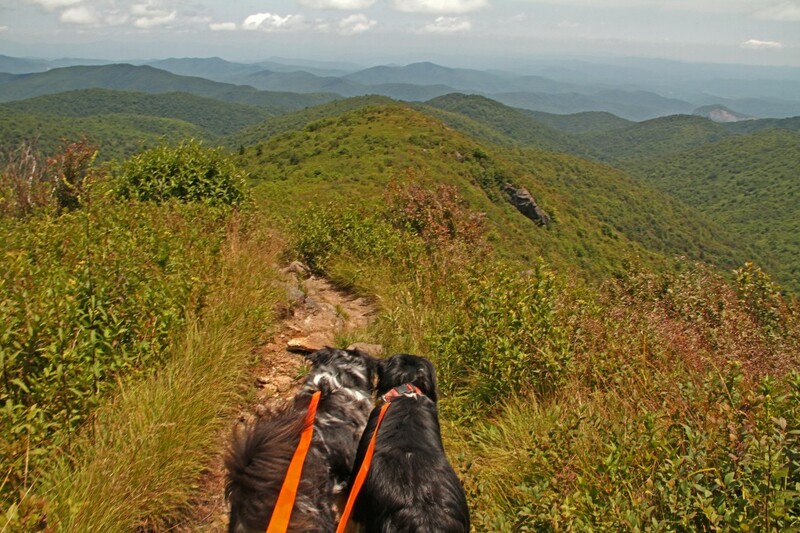 We took a right at the bottom of the hill, which lead us right to the sign for the Shining Rock Wilderness Area. From there, we took a right to loop back over to Graveyard Fields. As there are multiple trails in this area, it is VERY important to either go with someone who knows the area well OR obtain a map of the area trails. Signage in this area was non-existent and we relied on others in the hiking group for guidance here. Graveyard Fields & Falls: Once we reached the Graveyard Fields area, the signage was better but still a bit spotty. The trails here weren’t so much rutted as they were “spillways” for multiple natural springs in the area (ie, wet and muddy). 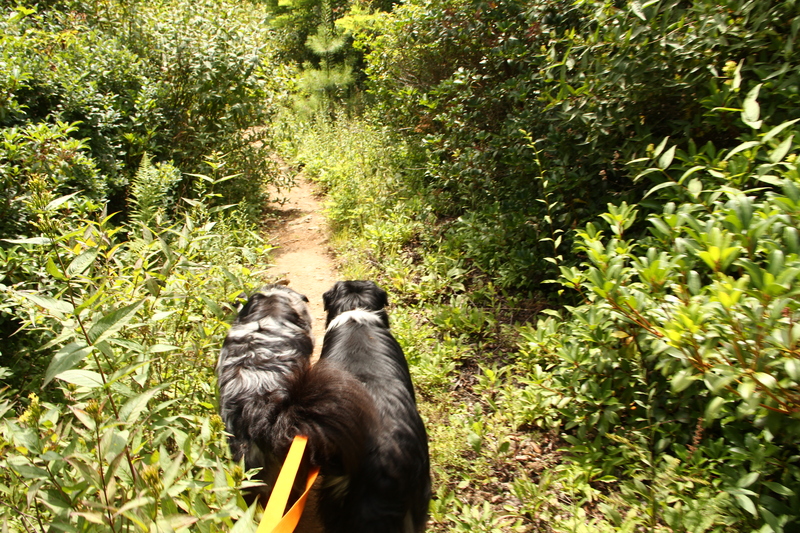 As much of the previous part of the hike had been exposed on a mountain top, the wet trail and the thick canopy of trees and brush made for a welcome cool down for the dogs. 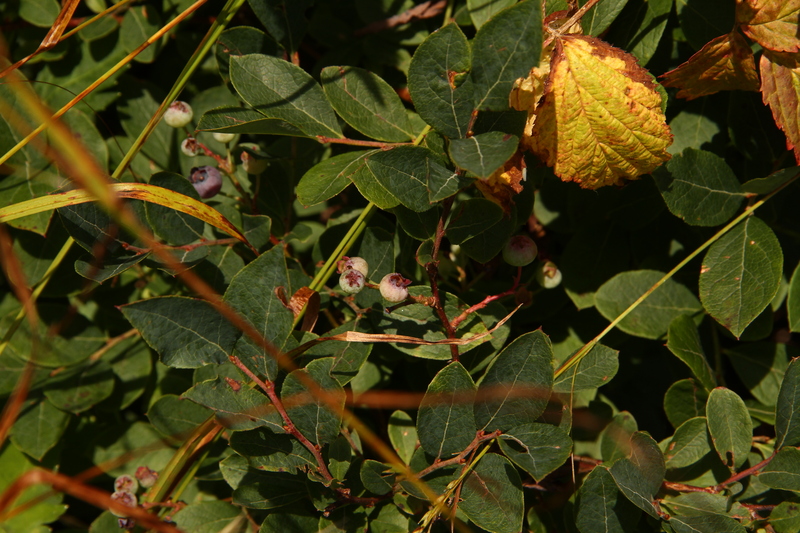 If You Like Blueberries, This Hike’s for You! Locals and tourist alike flock to this area during the mid-Summer months, not only to hike but also to eat/pick wild blueberries that bloom there in late July! Blueberries! Free for the picking! Upper and Lower Falls at Graveyard Fields: As noted above, there are multiple combinations of trails that one can use to hike this area. 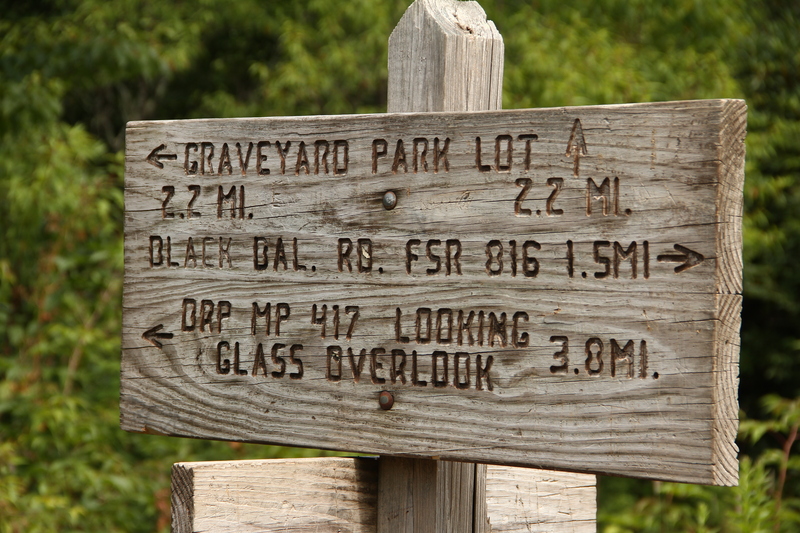 Our total hiking distance was around 7.38 miles from Black Balsam over to Graveyard Fields. When we started out that morning, temperatures were in a comfortable 70-degree range; however, as the day went on, they rose into the 80-degree range. Thus, the Upper & Lower Falls were a welcome site. We spent time at Lower (or Second) Falls, along with many other hikers/visitors. If you’re not into hiking and can find a parking spot at the Graveyard Fields Parking Area, it’s a quick trip downhill to access the Falls themselves across a nice set of newly-built boardwalks—no hiking required. My dogs and myself GREATLY enjoyed cooling off in the cold, clear waters of these beautiful Falls. If you’re not feeling like hiking any great distance, there are MULTIPLE trails from which to chose in this area. Again, just be SURE to have a map or someone familiar with the area with you. HOW DO I GET THERE? Below are directions to Black Balsam Rd, which is just PAST the Graveyard Fields Parking Lot if you’re coming from Asheville or Charlotte NC. Arrive EARLY! 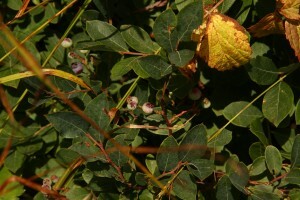 During the heat of the Summer, Blueberry Season and Fall Leaf Season, this area is extremely popular with locals and tourists alike. Parking IS limited. Fill your tank up in Asheville (if coming from that way) as this area is about 25 miles from the Brevard Road Access to the Parkway and there are NO gas stations close to the Blue Ridge Parkway. Bring all your snacks and drinks with you from home or purchase in Asheville. There is a small country store at the Pisgah Inn but the Inn is not open year-round. 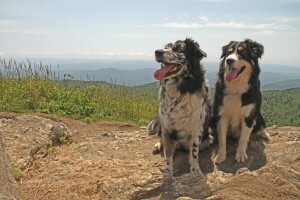 Allow PLENTY of time to take in the awesome views from Black Balsam Knob, Ivestor Gap and the Falls themselves! After your trip, check yourself carefully for TICKS as you will be going through thick brush that is very close to the trails. 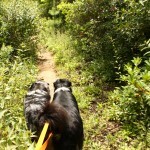 We prefer to wear lightweight long pants/leggings when doing this trail for precisely this reason.